A 1971 essay in The Futurist magazine opened with some alarming numbers. The average city, it said, now had six television channels. But, the author warned, there was already one city planning 42 channels and in the future, there could even be places that support 80, 100 or 200 channels. Where will it end, the essay asked. Just four decades on, in a world of instant-on, hyperconnected reality, the numbers sounds almost laughable. But, it seems, every generation believes that it has reached information overload. Look back through history, and whether it was the arrival of the book or the arrival of the internet, everyone from scholarly monks to rambunctious politicians are willing to pronounce that we can take no more; humanity has reached its capacity. Television, radio, apps, e-books, the internet – it is causing so much anxiety and stress in our lives that we no longer have control. The machines have won. If we want to understand the modern way we think about so-called “information overload” the best place to start is the 1970 book Future Shock by author and futurist Alvin Toffler. 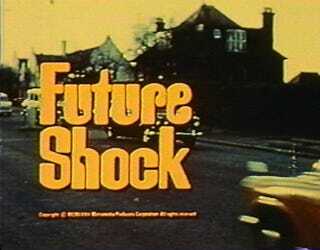 In it, he said future shock is, “the dizzying disorientation brought on by the premature arrival of the future. It may well be the most important disease of tomorrow”. There is no denying Toffler’s international influence on the way we think about the future. I have seen Future Shock in virtually every used bookstore I have visited from Portland, Oregon to Cartagena, Colombia. With over six million copies sold, it clearly struck a nerve in 1970 and beyond. In a radio interview shortly after the release of his book, Toffler warned that the exhaustion he saw throughout the world was tied to his new future shock theory. “I think there’s a tremendous undercurrent of dissatisfaction in America; people saying I want out, it’s moving too fast, it’s moving away from me; a sense of panic; a sense that things are slipping out of control and I don’t think that there’s much we can do in our personal lives to counteract that,” he said. Toffler’s assumption was that the future is something that happens to us, rather than with us. It is something out of our control that will inevitably overwhelm us. Whilst some will take comfort in Toffler’s words, some of the notions seem rather quaint forty years later. Just as people today throw around the number of tweets sent per second or the amount of video watched online, in the early 1970s Toffler followers and techno-reactionaries liked to scatter their own figures to show the magnitude of the problem. In the same Futurist essay that decried the rise of the number of TV channels, the author Ben Bagdikian goes on to overwhelm readers with even more daunting numbers, explaining that computers will soon be able to store information at a rate of 12 million words a minute, whilst printers will be able to pump out 180,000 words a minute; something that will collide violently with humanity’s ability to process information, he said. “The disparity between the capacity of machines and the capacity of the human nervous system is not a small matter in the future of communications,” he wrote. “It has individual and social consequences that are already causing us problems, and will cause even more in the future. It is a warning that we still hear today in many contexts. For example, author Jonathan Franzen, an opponent of electronic books, argues that traditional paper tomes give humanity some much needed stability in a world rocked by change. He fears that this rapid pace is hurting us. “Seriously, the world is changing so quickly that if you had any more than 80 years of change I don’t see how you could stand it psychologically,” he said. Yet history seems to suggest we ride these waves of change. I am typing this on a 15-hour flight over the Pacific Ocean. In that time, I watched two movies, three TV episodes and read half of a (deadtree) book. No one was forcing me to consume this media, nor even write these words. I made a conscious choice that this is how I wished to spend my time. I would also argue that most people reading an essay about the concept of information overload on the internet have some choice in the matter. Toffler, Bagidikian and Franzen are not necessarily wrong or even alarmist in their concerns that we should seek to control our own technological destinies. But futility should not win the argument. Your consumption of media is largely within your control. We have a choice in the matter. We can change the channel, turn off the TV, or close the laptop lid. These are our choices, and it is hard to see how any of them are irrational or happening to us rather than with us. Sooner or later, the future catches up with us all. But it need not swallow us whole. This post originally appeared on BBC.com.